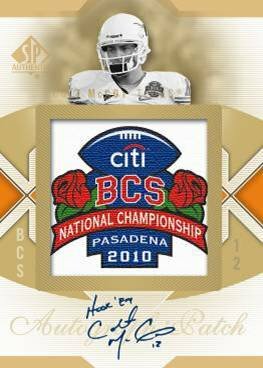 Look for unique, ALL NEW BCS Championship and SP College Pride autographed patch cards! 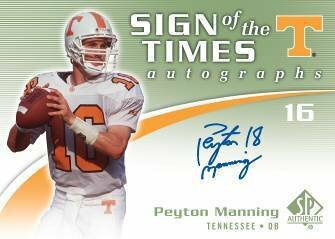 Look for Retro Rookie Autograph Patch inserts including players like: Adrian Peterson, John Elway, Barry Sanders, Steve Young, Peyton Manning, and more! Autographs from top 2010 NFL Rookies in their college uniforms: Tim Tebow, Sam Bradford, Jahvid Best, Ndamukong Suh, C.J. Spiller, Dez Bryant, Jimmy Clausen, and more! 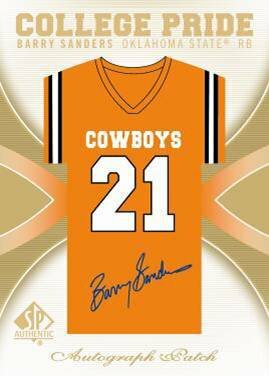 Look for autographs from other NFL Stars dawning their college threads: Dan Marino, Steve Young, Tony Romo, Mark Sanchez, Drew Brees, and more! 50 Rookie Authentics, 50 Rookie Authentics Signatures, 34 Rookie Authentics Patch Autographs in base set! 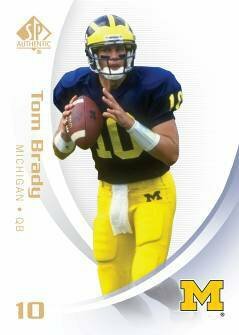 Upper Deck brings it's flagship football card product to the College Gridiron this March. 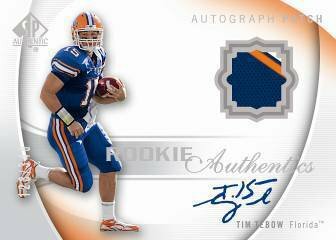 SP Authentic returns with plenty of old favorites like Rookie Authentic Patch Autographs as well as some interesting new additions including BCS Championship and SP College Pride autographed patch cards. 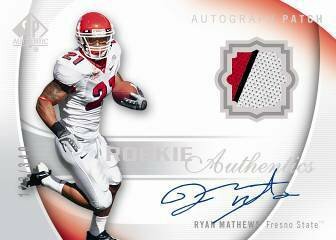 Each 24-pack box of the hobby favorite will deliver 3 autographs, including 1 on-card patch auto.